Have you ever stopped to think about the monthly income you’d need to provide for a comfortable retirement? If you’re thinking it would be the equivalent of your current salary you’ve probably overestimated. Remember, by the time you retire, you will hopefully have paid off your mortgage, your kids (if you had them) will have flown the nest and you won’t have to cover the cost of commuting to work. In fact, research by Which? suggests you’ll probably need between half and two thirds of your final salary, after tax, to achieve a comfortable lifestyle in retirement. According to Which? retirees will need £18,000 a year to cover household essentials such as food £3,967, utilities £2,040, transport £2,407 and housing costs £1,444. Now you know the sort of income you’d like in retirement; how much will you have to save each month to achieve it? Which? suggests, alongside the State pension, to generate an annual combined income of £26,000 couples will need a defined contribution pension pot of £210,000. 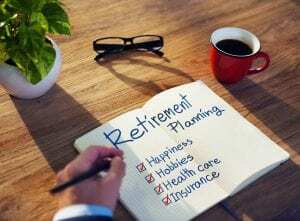 The numbers may look scary but when it comes to saving for the lifestyle you want in your retirement the earlier you start and the more you can contribute the better. Whether you’re in your 20s or 60s, on track with your savings or worried you’re behind where you should be, please get in touch and we’ll help you explore your retirement income options.